How often do you find two fiber artists with two sisters that are creative writers all generating work based on experiences taken from their lives? The two sets of sisters, Brooks Harris Stevens and Jen Harris closely connect with Sarah and Cathy Wagner through their methodologies, imaginations and experiences. Brooks Harris Stevens and Sarah Wagner discovered that not only do they work with many of the same processes and often use the same materials (namely silk organza and thread) but that both artists have sisters who are accomplished writers. 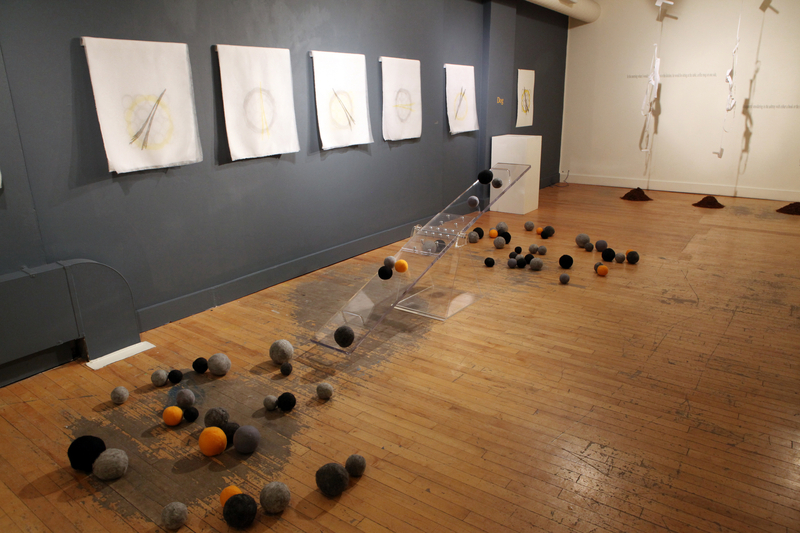 Once all the pieces were connected, Brooks was determined to find a venue for the exhibition, which was the Ann Arbor Art Center in Ann Arbor, Michigan. Inherent State was open from February 10- March 18th, 2012. As Webster's says inherent means being "involved in the constitution or essential character of something : belonging by nature or habit". This is apropos with sisterhood. The Free Dictionary states that inherent is "in the nature of something though not readily apparent" or "existing as an essential constituent or characteristic; intrinsic." Brooks Harris Stevens' approach to making the visual work in response to her sister, Jen Harris' writings based on their childhood experiences were by using specific materials, objects and images. We did not discuss what our connections meant; it was purely a write and respond reaction. When making the work for Inherent State, Brooks used materials such as screen-printed silk organza, men's 100% cotton dress shirts, loose tobacco, acrylic and felted spheres. All materials chosen evoke specific ideas or memories about events Jen used in her short stories. Excerpts from the writings were incorporated onto the gallery walls that gave a visual connection between the work, shadows and the writings of the two sisters.